If you are going to be driving through Arizona, you may be wondering if Arizona is a hands-free state or not. This means whether you are allowed to use a cell phone behind the wheel, talking or texting, while driving in the state. The answer is, “It depends.” See below for details! At this time, there is not a statewide ban on texting and driving in the state of Arizona. Certain cities, such as Tempe, Phoenix and Tucson have passed city wide ordinances which ban drivers from texting while driving in the city. And legislation has been passed to prevent certain occupational workers, such as school bus drivers, from texting while driving. Unfortunately, as this time, there is not a statewide resource for which cities or counties have an ordinance in place. As such, you will have to research the towns you plan on driving through and find out if it is legal or illegal to text while driving. Is it Illegal to Talk on the Phone While Driving in Arizona? Just like with texting, there is not a statewide ban on talking on the phone while driving in Arizona. However, the cities that ban texting also ban talking on the phone while driving, unless you are using a hands-free device, such as a Bluetooth receiver. There is currently legislation aiming to ban both talking and texting throughout the state of Arizona. However, as of February 2017, this legislation has not been passed. Is it Illegal to Talk or Text on the Phone While Parked in Arizona? If you are passing through a city in Arizona that has banned texting or talking on a cell phone while driving, you may wonder if you can pull over or park in a parking lot and use your phone. As long as you are in an area where you can legally pull over or park, you are allowed to do so and use your phone. If there is a no parking or no stopping sign, you should not stop. While you can’t be fined for texting or talking on your phone in these areas, you can be fined for illegally stopping or parking. Can You Still Be Fined for Texting or Talking on a Cell Phone in a City Without an Ordinance Banning It? While there is no ban specifically making texting or driving illegal in the state of Arizona, it is important to not that the state does have distracted driving laws. By law, you are not allowed to do anything that can impair your ability while driving or causes you to take your eyes off the road for longer than five seconds. If you are caught doing this, you can get a ticket that can only be dismissed by AZ traffic school. This can include playing with the radio or texting while driving. If you are swerving while driving or an officer sees you with your eyes looking down or not on the road, they can pull you over and issue you a ticket and fine. So while texting and talking is not specifically banned in all parts of the state, you can still be in trouble for doing it due to distracted driving laws. Texting and talking on the phone while you are driving puts you at higher risk for being involved in a car accident. It can cause you to lose your focus on the road or fail to see a hazard. 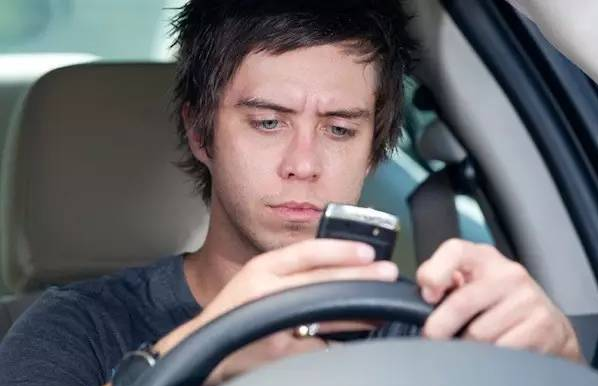 Even though texting and talking on the phone are not outlawed in all parts of Arizona, it is strongly suggested that you refrain from doing so for both your own safety and the safety of other individuals on the road.